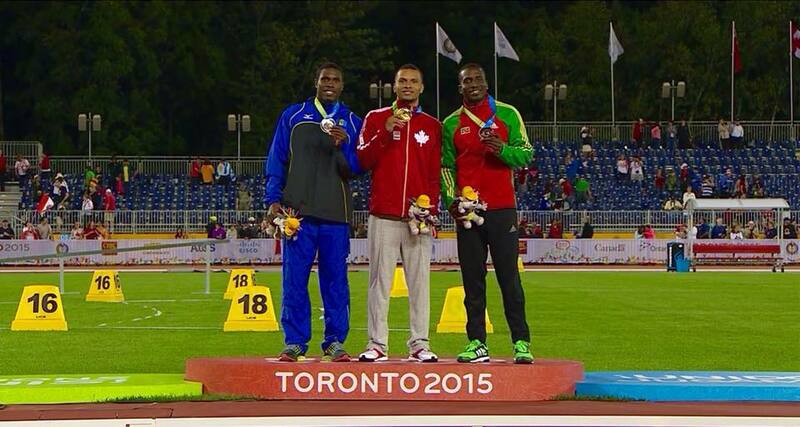 Team Barbados shines bright in Canada – Barbados Olympic Association Inc. Team Barbados has flown the flag high at the 2015 Pan American Games in Toronto, bringing home a total of three medals – one silver and two bronze. From 10th to 26th July, 29 of our local athletes from 10 disciplines proudly represented Barbados at the Pan Am Games, delivering top-class performances against fierce international competition in the sports of athletics, swimming, boxing, badminton, triathlon, tennis, equestrian, shooting, weightlifting, and golf. 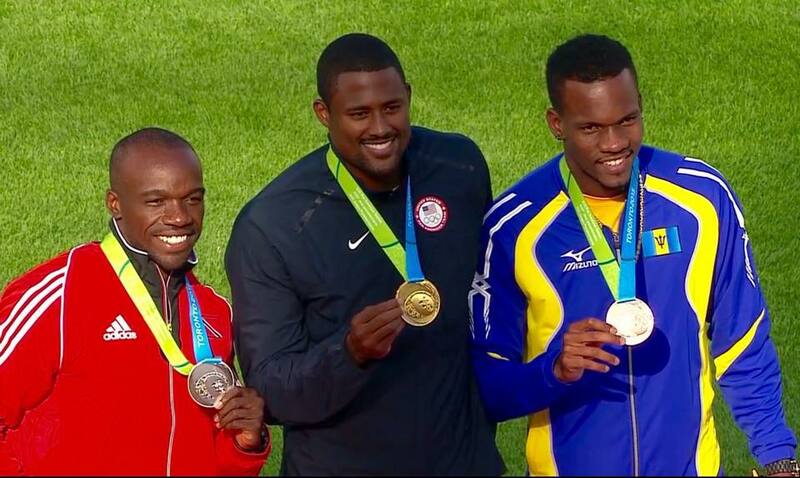 Our track and field athletes reaped success for Team Barbados with two medal-winning performances in just 24 hours. 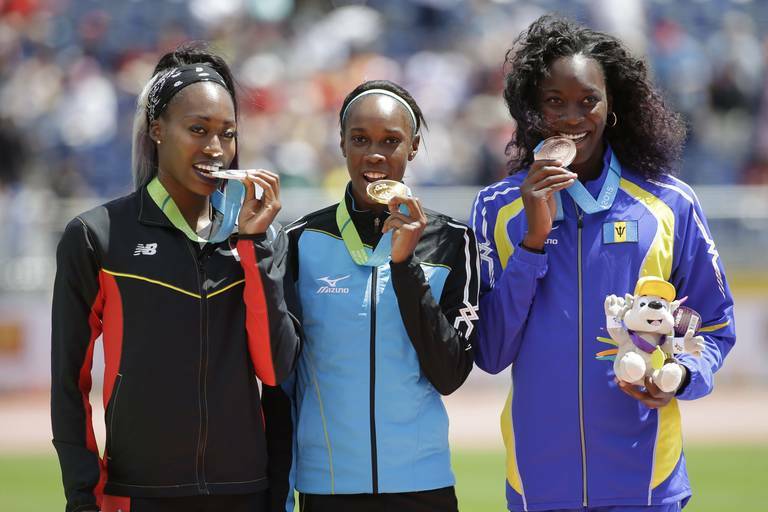 The Caribbean swept the Women’s High Jump Final, with Saint Lucia taking the gold medal and Antigua and Barbuda taking silver, but it was Akela Jones who took home Barbados’ first medal in the same Final winning bronze with a career best performance and new national record jump, clearing 1.91m. Later that day, Ramon Gittens delivered Barbados’ second medal, winning silver in the Men’s 100m Final with a season best time of 10.07 seconds, finishing behind Andre De Grasse of Canada. Our final medal came days later, when Shane Brathwaite delivered a bronze medal performance in the Men’s 110m Hurdles Final, with a personal best time of 13.21 seconds. Special mentions go to Greggmar Swift who placed 4th with a personal best time in the Men’s 110m Hurdles Final, as well as the Men’s 4x100m Relay team who placed 4th in their Final. Another mention goes to Men’s Triathlon competitor, Jason Wilson, who placed a commendable 5th overall. Akela Jones also represented well in the Women’s Long Jump Final, placing 6th overall with a personal best and new national record jump of 6.60m, whilst Kierre Beckles placed 7th in the Women’s 100m Hurdles Final, and Levi Cadogan ran 8th in the Men’s 100m Final. Barbados sole golfer, James Johnson, ranked 8th out of 32 competitors in the first golf competition in Pan American Games’ history – all great efforts from Team Barbados! The BOA expresses thanks to the Barbados Pan Am Games Management and Medical teams – Chef de Mission Esther Maynard and Team Manager Glyne Clarke; Dr Carl Ward, physiotherapist Marita Marshall and massage therapist Sharon Coppin. Congratulations and thank you to all who participated and supported Team Barbados at this year’s Games, you did us very proud!